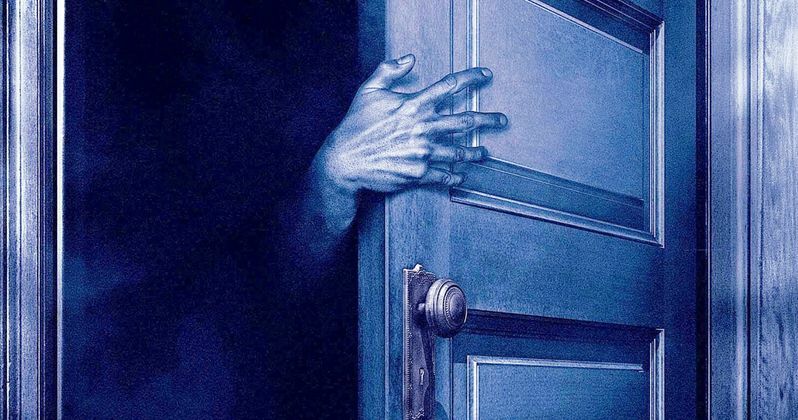 Stephen King's the Boogeyman is being adapted for the big screen for the first time. The story, which was first published in 1973, is a favorite of many. Particularly of filmmakers who have focused on shorts, as it has been adapted in short form seven different times, partially because King has allowed for smaller licensing deals of the work that have allowed up-and-coming filmmakers to access the material. But now the writing team behind this year's horror hit A Quiet Place are bringing the story to life in grander fashion. Scott Beck and Bryan Woods have been tapped by 20th Century Fox to adapt The Boogeyman. The duo found themselves in the middle of the one of the biggest Hollywood success stories of the year with A Quiet Place. Not only did the movie arrive with rave reviews, but working from a budget of just $17 million, the movie went on to earn $325 million worldwide. They penned the original draft of the screenplay and director John Krasinski added to it once he came on board. Beck and Woods managed to capture the attention of major studios as a result and now they're taking on what has the potential to be a high-profile project. Not for nothing, but Stephen King praised A Quiet Place calling it, "an extraordinary piece of work." As for The Boogeyman, the project will be produced by Shawn Levy Dan Levine and Dan Cohen. Currently, there is no director attached, but it sounds like this adaptation is currently in the early stages. The story they're tackling is one of King's very early works. After its initial publication in 1973, the story was included in King's short story collection Night Shift, which was published in 1978. The Boogeyman, quite simply, centers a man who recently lost all his children to a creature lurking in the closet. That doesn't offer a lot necessarily for Scott Beck and Bryan Woods to work with on the surface. At the same time, it may allow them to stretch and craft the narrative to their liking. These two certainly have demonstrated that they know how to take a relatively simple concept and turn it into something special. They definitely feel like the right guys to tackle something like this, and the timing couldn't be better. IT made $700 million at the box office last year and made Stephen King stories one of the hottest properties in Hollywood. In addition to this adaptation, a remake of Pet Sematary recently began filming, a sequel to The Shining, Doctor Sleep, is slated to head into production later this year, with Ewan McGregor tapped to star and James Wan is attached to produce an adaptation of The Tommyknockers. There is currently no release date or production timetable for The Boogeyman, but we'll be sure to keep you up to date as more details on the project are made available. This news comes to us courtesy of Deadline.